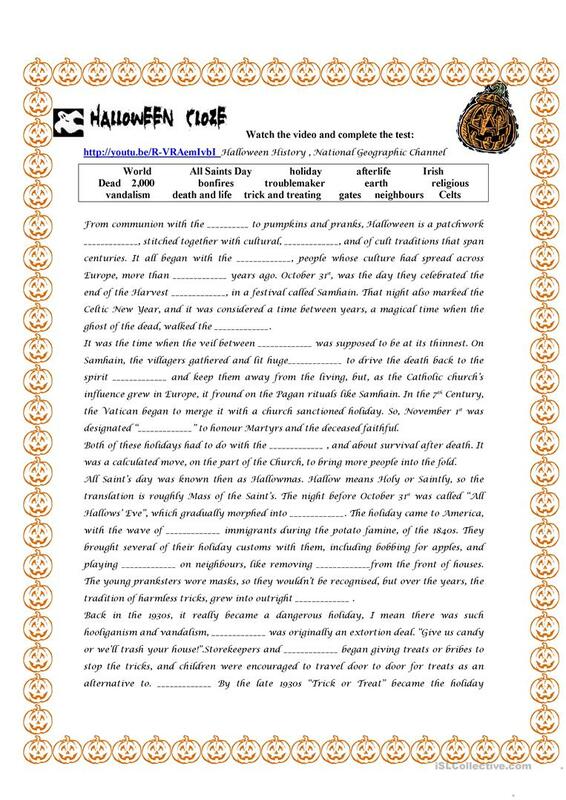 WATCH A VIDEO ABOUT THE HISTORY OF HALLOWEEM AND COMPLETE THE GAPS. The above printable, downloadable handout is best suited for business/professional students and high school students at Intermediate (B1) and Upper-intermediate (B2) level. It can be used for working on your students' Listening skills. 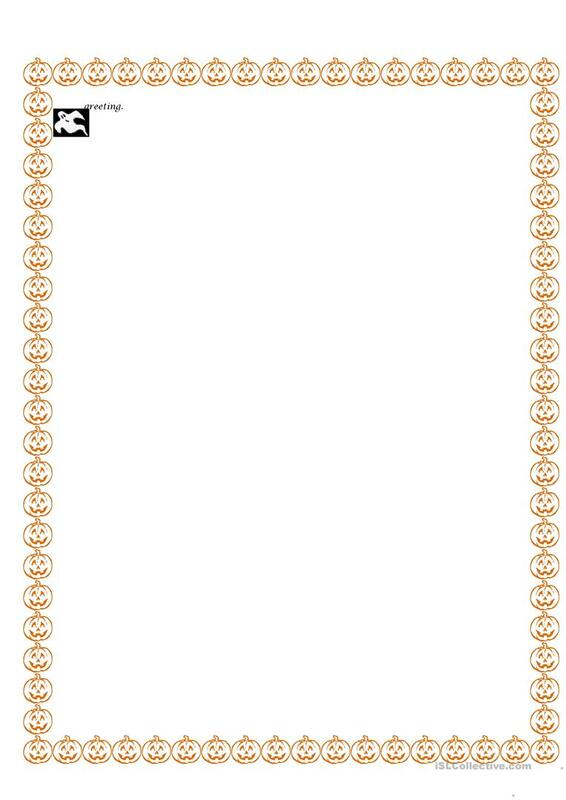 It centers around the theme of Halloween. paulabanos is from/lives in Spain and has been a member of iSLCollective since 2012-02-28 11:04:28. paulabanos last logged in on 2019-04-01 18:17:37, and has shared 25 resources on iSLCollective so far.